DanceMe is looking for 5 dancers! You are here: Home / NON Tema del Giorno / DanceMe is looking for 5 dancers! DanceMe is looking for five dancers for an artistic project on Migrations, aimed at creating a contemporary dance performance. Applicants must be able to access an iPhone daily in order to use the DanceMe app (currently available only on iOS). Dancers of any citizenship working in Italy or abroad can apply, regardless of age. – record and post on DanceMe 2017 Studio within the app a video no more than 5 minutes long (see tutorial). The videos may show an improvisation or extracts from a choreography that is part of the artistic repertoire of the dancers. Among the authors of the videos that have been published and posted on DanceMe 2017 by Sunady 30th April 12:00pm, no more than five dancers will be selected. The list of their names will be made public on the website www.danceme.org and on the Facebook page Perypezye Urbane within one week after the deadline of the call. The selected dancers will have to participate in a briefing meeting via Skype (project kick-off). The dancers selected through the present call will participate in the project from 8 May 2017 to 30 June 2017. From 8 May the selected dancers will constantly post on the DanceMe app video clips regarding their choreographic creation process (online residency) on Migrations. At the end of the online residency, only one of the dancers will be selected to showcase a live performance. Her/his name, which will be made public on the website www.danceme.org and on the Facebook page Perypezye Urbane, will be selected based on the unappealable judgment of a commission. The selected performance will be refined in a one-week residency at Teatro Sociale in Camogli and showcased live in July at Teatro Hop Altrove in Genoa and at Teatro Sociale in Camogli. The five selected dancers will receive a total gross payment of EUR 2,500.00 each for their participation in the on line residency. The dancer selected for the live performance will be entitled to receive a further gross payment of EUR 1,000.00 in order to present the performance in Genoa (Italy). The artists will work in close connection with one another and with the public by using the DanceMe app, which will be a tool for sharing their creative and multimedia materials. 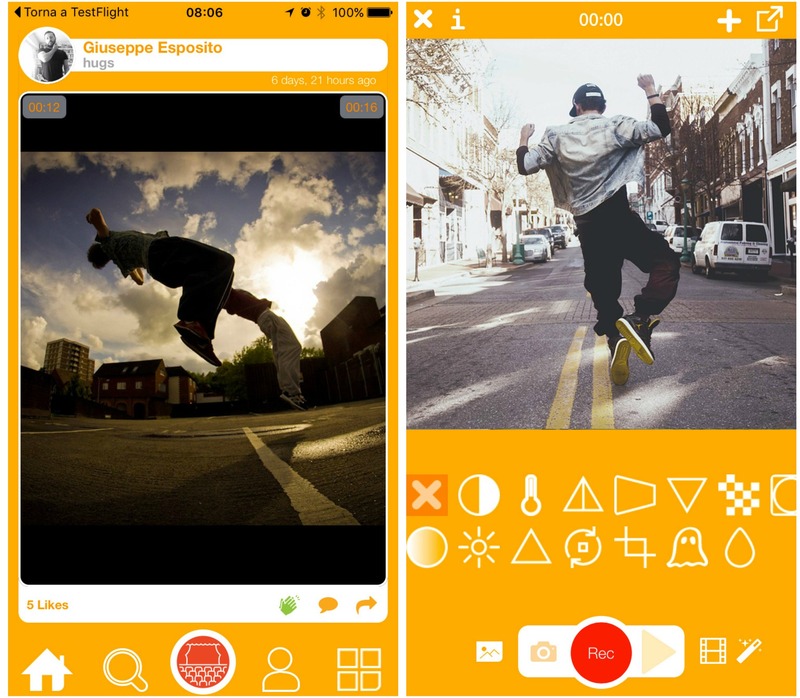 The app can be used by anyone who wants to participate actively in the project by posting comments, expressing their appreciation with a Like and publishing their videos to inspire the choreographic creation. experiment with new modes of audience engagement via digital means. promote an innovative form of virtual residency.